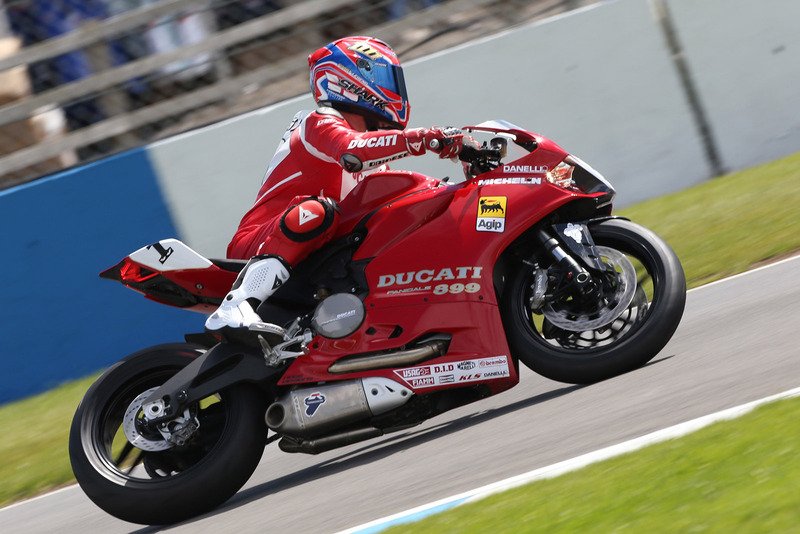 The most successful Superbike racer of all time, with 59 victories and four world titles, took to the Donington Park track over the weekend to mark the 20th anniversary of the first of his four World Superbike championships. 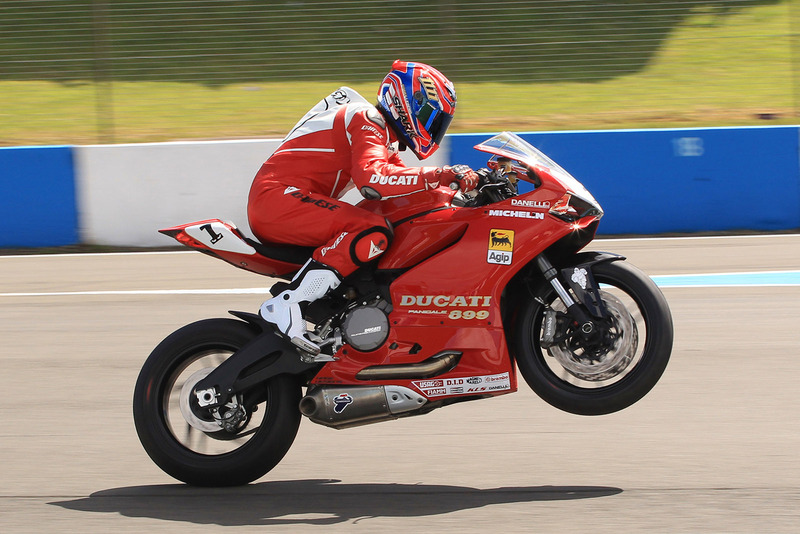 “Foggy” rode the Leicestershire track over the thrilling race weekend lapping on a specially painted Ducati 899 – the same livery as his famous 916 from 1994. Dainese, his long-term, leathers, boots and gloves supplier made him a special suit to mark the occasion. 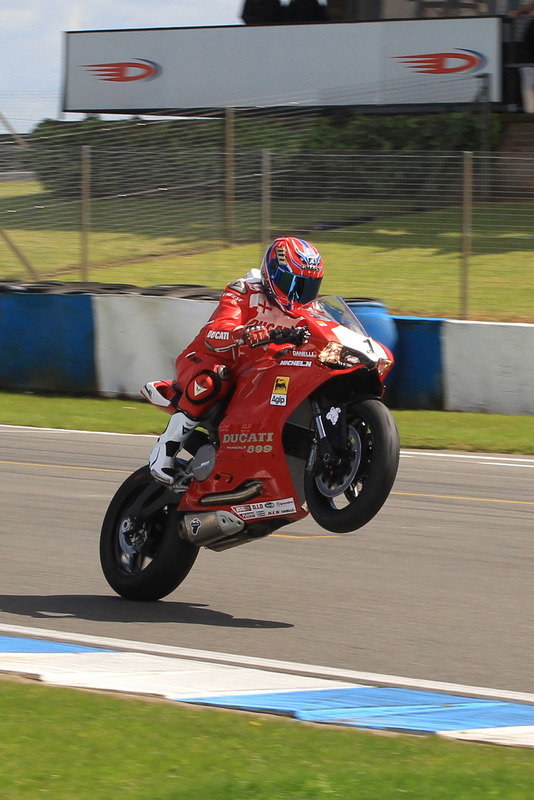 The 48-year-old from Blackburn enjoyed entertaining the crowds at the UK’s sole round of the FIM World Superbike championship. You have to admit, that bike looks sweet. “It was a great weekend and fantastic to be back on a bike I love at a track that means so much to me in front of fans who gave me such great support over the years, and showed so much appreciation yesterday.